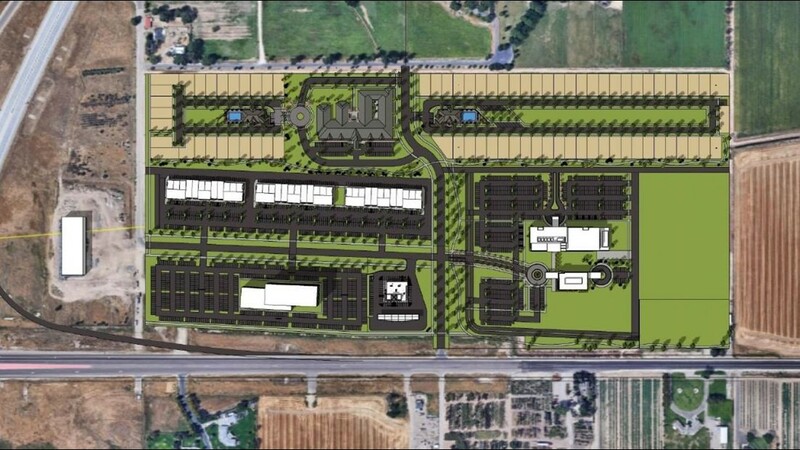 The Central Valley Plaza is planned for the corner of Chinden Boulevard and Highway 16. ADA COUNTY -- Developers will break ground on a major new project north of Meridian as early as next year. The 71-acre Central Valley Plaza will include a medical office, flex office and other office space as well as retail and senior living. "It's really hard to get east and west so it’s the natural place for the next center for business to happen and that includes healthcare and a place for office space so people don't have to travel so far and can actually work where they live," Says Tommy Ahlquist, CEO of Ball Ventures Ahlquist. 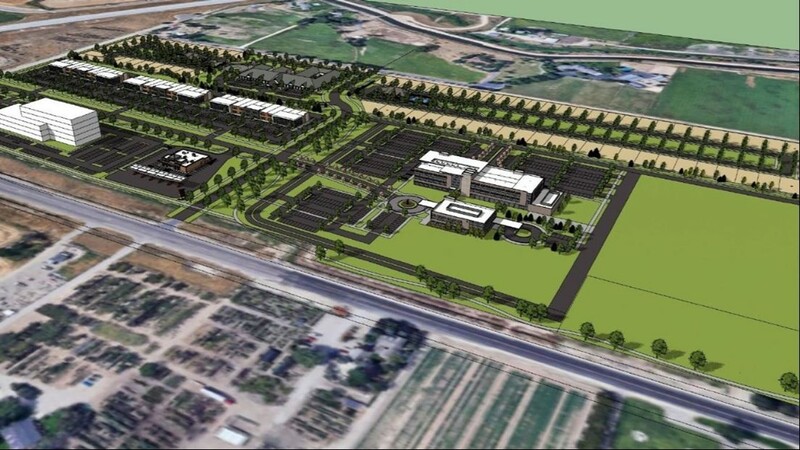 Ball Ventures Ahlquist Development and Brighton Corporation announced the plaza will be built north of Meridian at the corner of Chinden Boulevard and Highway 16, which they dubbed "the fastest-growing area of Idaho." 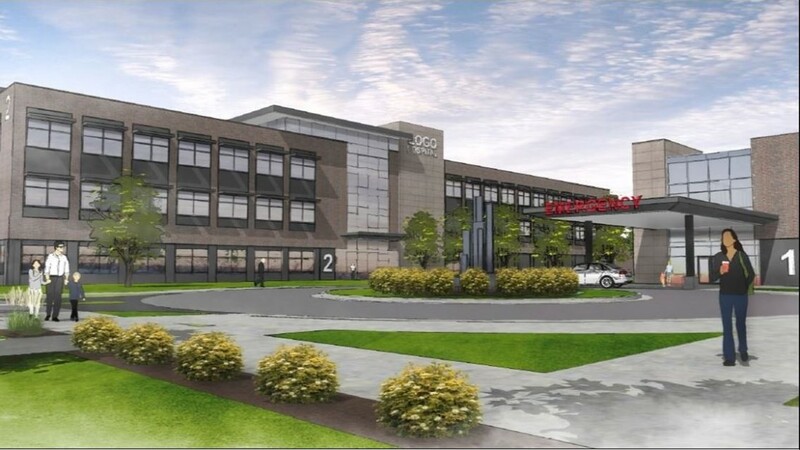 The project includes plans for a medical campus with a surgery center, free-standing emergency department and a 90,000 square foot medical office building. BVA and Brighton will partner with HCAHealthcare, which currently operates West Valley Medical Center and the Eastern Idaho Regional Medical Center. "We are extremely pleased to partner with Brighton on this incredible project," Tommy Ahlquist, CEO of BVA, said in a release. "This is a perfect location in a high growth area of the valley that will provide improved access to medical care, senior living, and Class A office space. We look forward to working with the City of Meridian and other stakeholders to make this project a reality." The developers at BVA and Brighton will also work together on 367 acres of commercial development elsewhere throughout the Treasure Valley, with sites including Ten Mile Crossing, Ten Mile Creek, Century Farm, Barber Station, and Paramount Square. In a statement, Brighton CEO David Turnbull praised the project. "Our goal at Brighton has always been to create the finest quality real estate projects in the Treasure Valley," he said. "Central Valley Plaza will bring much-needed services to north Meridian and we are thrilled to partner with BVA on this site and our properties throughout the valley." Groundbreaking on the Central Valley Plaza is planned for spring 2019.